He has defended in a series of sensitive cases where professionals (solicitors, accountants, doctors, pharmacists) have been charged with regulatory offences. Adbul regularly reviews serious and complex cases and advises upon the prospects of seeking to overturn, before the Court of Appeal, potentially unsafe convictions sustained in cases where he has not appeared at first instance. He also regularly reviews serious cases and advises as to whether a sentence can be regarded as manifestly excessive so as to be successfully appealed before the Court of Appeal. 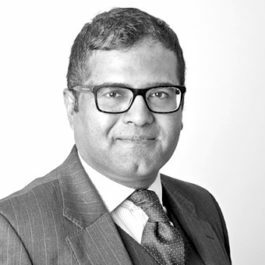 Abdul is noted for his ability and judgement to quickly and reliably identify the real and decisive issues in ‘very heavy’ cases. He excels in offering clear, concise and tactically focused advice in the most complex and voluminous cases.